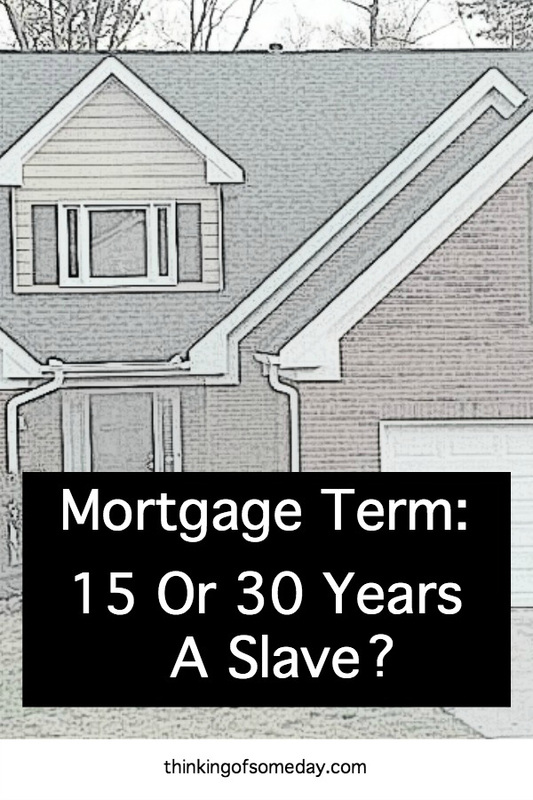 Mortgage Term: 15 Or 30 Years A Slave? One of the most exciting and scary times of our lives was buying our very first home. It was exciting because we had been renting for almost a year and pinpointed where we wanted to live. We were scared because we were about to take out the biggest loan of our lives to make that dream come true. Uncle Dave (my nickname for Dave Ramsey) suggests buying a home on a 15-year mortgage term that is no more than 25% of your take-home pay. Kim and I were well aware of this suggestion and still decided to take out a 30-year loan. Two-and-a-half years later we decided to refinance to a 15-year mortgage term. 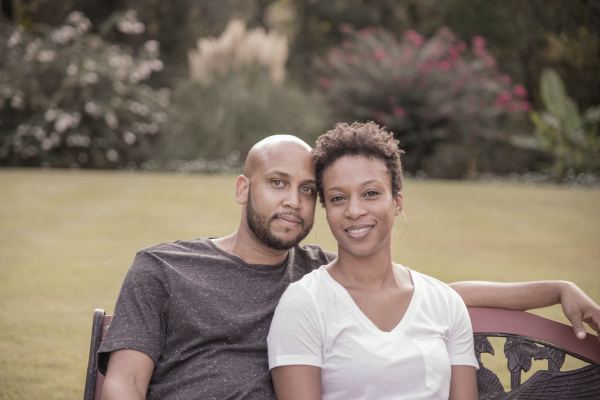 In this post, we share the reasons why and how we came to the decision to refinance. When we first bought our house in 2013 our interest rate was 4.125%. This was a pretty good interest rate at the time. After our down payment, the loan balance was $168.5K. Our monthly PITI (Principal, Interest, Taxes, and Insurance) and PMI (private mortgage insurance) were $1245 per month. By the time we started looking into refinancing we had been in our home for about 2.5 years and had only paid off about $6K in principal, putting our loan balance at about $162.5K. Keep this number in mind when I give you an update on where things stand today. When we started to look into refinancing we used a mortgage calculator to figure out how much interest we would pay if we stayed in our current loan versus refinancing to a 15-year mortgage term. The figures were jaw-dropping. The total amount we would’ve paid for our home over the 30-year period would’ve been $294K. We would’ve paid $125K in interest. This was a major factor in us deciding to refinance. When we refinanced in 2015 (first payment was 1/1/16) our home had gone up in value enough to put our new loan at 80% of the value. Thus, eliminating the PMI which was about $80 per month. Also, our interest rate was dropping from 4.125% to 3%. Lastly, we had the option of eliminating escrow and paying the taxes and insurance ourselves. We rolled the closing costs back into the loan which put the total loan amount at $165K. Our principal and interest payment is $1140 per month and our taxes and insurance payment (to ourselves) is roughly $400, which puts our total monthly payment at $1532. This is only $287 more per month than what we were paying on the 30-year mortgage term. What we get in return for that additional $287 is absolutely mind blowing though. The first thing we get back is 15 years of our lives without mortgage payments! In 15 years when we no longer have a house payment, we can take that house payment and invest it. Investing our house payment alone for 15 years would be hundreds of thousands of dollars added on to what we have already saved and what we are investing monthly today. Secondly, the total we would’ve paid for our house if we go through the full 15-year mortgage term is $205K. That is a difference of $89K (294K – 205K)!!!!! We bought our house in 2013. It was a great time to buy homes as prices had not recovered at all. Also, we were in a great financial position. We had an emergency fund, additional cash strictly for the down payment, and less than $15K in debt. We ended up buying a foreclosure that needed some updating, but the bones of the house were good and had great potential. Needless to say, we got a pretty good deal on our home in a good school district that is developing. Initially, our house payment was $1245 per month including PMI but because home values had recovered in 2015 when we did the refinance we were able to eliminate the PMI and only increase our payment by $287 per month. This was a small price to pay to bring us closer to financial independence. You should pay extra principal payments on the 30-year mortgage to pay it off like a 15-year mortgage. You’ll have wiggle room in down times. You should get the 30-year mortgage and invest the difference in an investment vehicle that pays more. My rebuttal for both of these arguments is the same. To pay extra or invest the difference for 360 straight months is a task requiring superhuman discipline. I came across a statistic from the FDIC that 97% of people do not pay extra principal on their mortgage. As financially disciplined as Kim and I are I realized that we were in that 97%. Kim’s sidenote: We could’ve paid the extra towards the principal on our mortgage. However, we wanted to update our home since it was an outdated foreclosure. Paying the extra towards the mortgage at that time given our income would have slowed us down a lot on our home improvements. It’s not something that I was willing to sacrifice on because I felt that it would make us enjoy our home more. And it has. Now we’re close to being finished with our updates, and we’ll be able to move on to what Omar really wants, which is paying off our house. It’s all about compromise! I know you’re thinking that the point of going with a 30-year mortgage is to have wiggle room in down times. And since down times will come you probably won’t make additional principal payments for ALL 360 months. The problem is that “down times” won’t be limited to true emergencies. Eventually, you’ll need extra money to fulfill a “need” that is really a want and you’ll skip that month of additional principal payments. We made the decision to be honest with ourselves and force ourselves to pay “additional” on the principal by refinancing to a 15-year mortgage term. The investment one I’m a little bit more sympathetic to. Assuming one has the discipline to do this, I could understand mathematically why someone would go this route. If you get average returns from the S&P 500 you’ll come out with more money including the additional interest you paid over the 30 years. However, for me, the additional 15 years of risk isn’t worth it. I’ve seen how quickly things can change. I’d rather work towards owning 1/4 of my 4 walls sooner than later WHILE investing 10-15% of my income. Then, once our home is paid off, we’ll throw our old mortgage payment in investments as well. side note: For those of you that don’t know, the four walls of finance are food/clothing, utilities, shelter, and transportation. These are the minimum things that you need to have in order to survive. Of these four you can own three: food/clothing, transportation, and shelter. Food/clothing and utilities generally aren’t as expensive and can be maintained by most families in an emergency. Owning transportation and shelter greatly reduces your cost of living thus reducing your risk. Also, if you aren’t in a crisis, cash flow is significantly increased. Increased cash flow results in the ability to invest more and just generally do more of whatever it is you like to do. I get why the 15-year mortgage term isn’t favored by most of society today. In certain areas where the cost of living is extremely high, it may not be an option. Other people want to live in the nicest possible house with the payment they can afford. Some people like the “wiggle room option” or the “invest the difference option”. Ultimately, you have to decide what’s important to you. For me, the goal has always been financial independence and the 15-year mortgage term seems to fit into this puzzle perfectly. Eliminating debt and living below our means has allowed so much more freedom in our lives that eliminating the biggest debt and payment in our lives seems logical. At the beginning of this post, I told you how much we had paid off on the principal when we had the 30-year mortgage, which was $6K in 2.5 years. As of the writing of this post, we’ve paid off $15K in principal since refinancing to a 15-year mortgage. We’ve paid off almost triple the amount of the 30-year mortgage, and it has only been a little more than 1.5 years since we refinanced! My hope (and I think it’s likely) is that I will be in my highest income earning years when the mortgage is paid off. So not only will our expenses be at their lowest point but my earning should be at its highest point or trending up. I’ll have 15 more years to continue investing (remember I’ve been doing 15% up to this point) and I’ll be aiming to max out everything. This is the perfect recipe for Financial Independence! What are your thoughts? Would you go with a 15-year mortgage term or 30-year mortgage term?